FEMALE SOCCER ON BOARD OF MSC ORCHESTRA! A fantastic week on board this beautiful ship, in the marvelous setting of the Mediterranean. 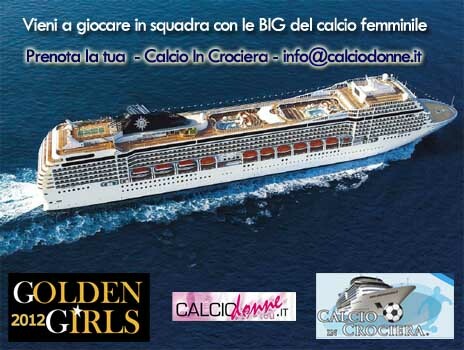 Fourth trophy up for grabs for women's football fans, who can experience the cruise accompanied by friends, friends or relatives in an unforgettable sporting and holiday adventure! Read more: FEMALE SOCCER ON BOARD MSC ORCHESTRA! The fee of 860 euro is per person in a double cabin if they are in three or 4 we will put them in triple or quadruple cabins. The quadruple costs € 790 per person. excursions to cities in ports of call for some on-board activities (beauty treatments, casinos, etc.). Anything not expressly indicated at the price includes. For reservations, a 200,00 € uro deposit per person is required as down payment 30-40 balance days before departure, when boarding passes are ready. But in this case, when they are interested we have our agency that can contact the interested one or vice versa and we are fine, then they arrange themselves with reservations, documentaries, allergies and so on. If there are girls from the south can also climb on Monday from Messina for example and then go down the following Monday in Messina, vice versa is the departure from Civitavecchia and arrival in Civitavecchia. relaxing and comfortable ever seen on board a cruise ship. 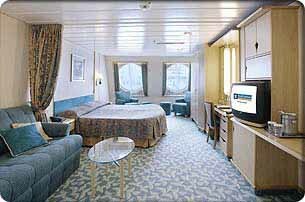 The rooms are different depending on the ship, but all have television, telephone, private bathroom and hairdryer. Dimensions: 17mq; balcony 5 sqm. Two single beds (convertible to a double bed), a living area with a sofa, a window with a view of the Promenade, a dressing area, a bathroom and a minibar. Two single beds (convertible to a double bed), private bathroom, toilet, hairdryer, minibar, CCTV and telephone. deck), 6 whirlpools, Adventure Ocean (area for children and teens), aquatic area / toboggan for children, discotheque for children, disco, theater, casino, library, chapel, internet zone, inner gallery (Royal Promenade) with shops and bar, 1 buffet restaurant, 1 a la carte restaurant, 2 theme restaurants (subject to surcharge), theme bars and lounges, ice cream parlor.